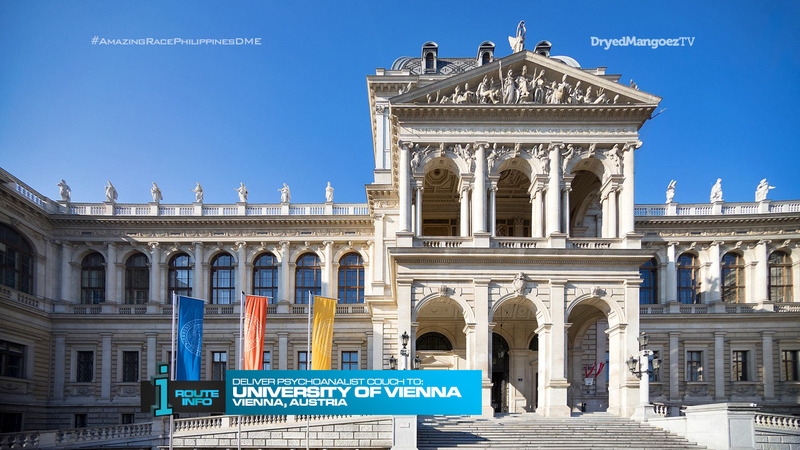 Teams set off on the 9th Leg of the Race when they read that their next destination is Vienna, Austria! All teams will be on the same SAS and Austrian Airlines flights, via Stockholm, arriving in Vienna at 12:05pm. 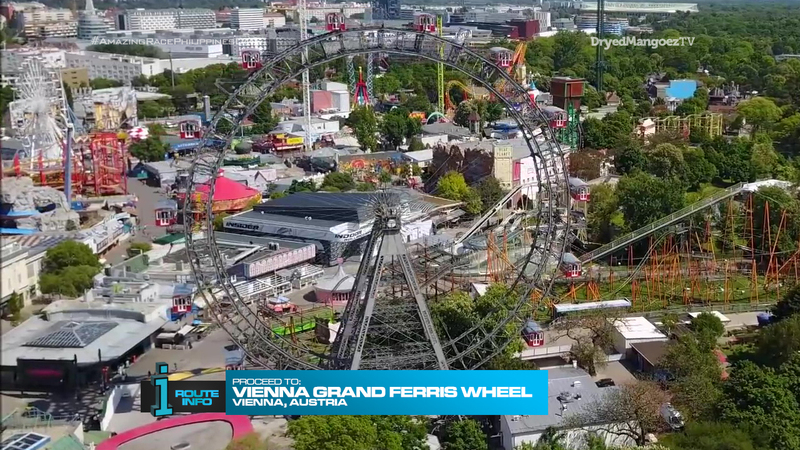 Once in Vienna, teams must make their way to the Vienna Grand Ferris Wheel. 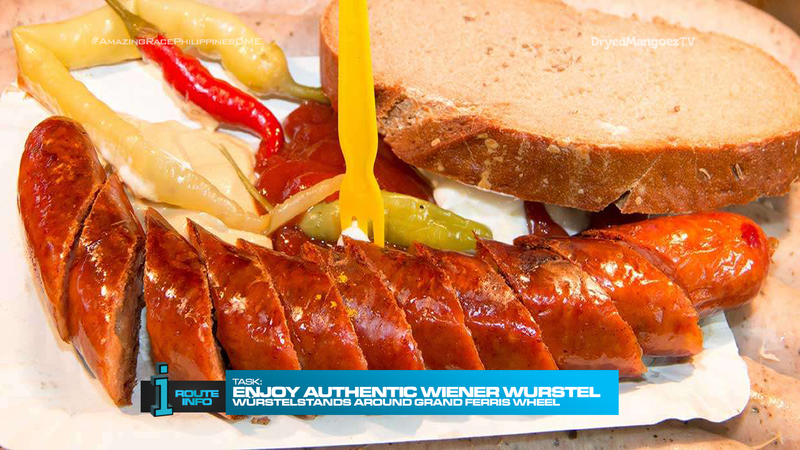 Here, teams will enjoy a late lunch by searching for one of three nearby Wurstelstands where they will enjoy some authentic Viennese sausage, known as wiener wurstel. Each Wurstelstand only has enough sausage for two teams. Once they finish their serving, they will be given the next clue. Teams must make their way to Ephesos Museum where they will find the Road Block: Who wants to light it up? 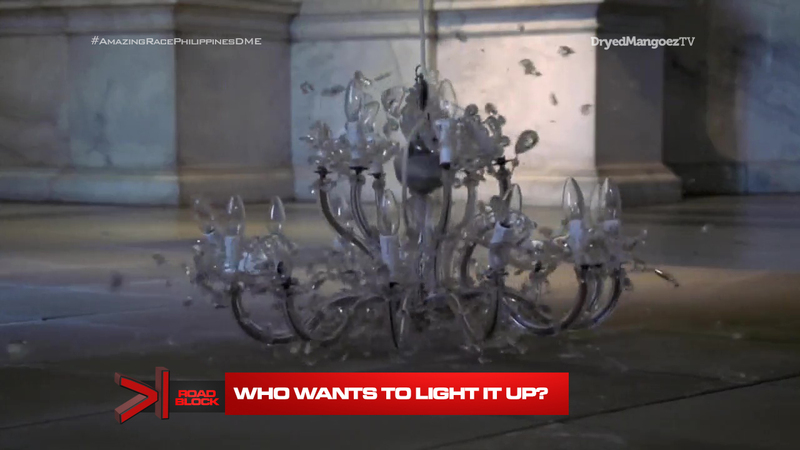 For this Road Block, teams must assemble a crystal chandelier. If it is properly assembled, they will receive the next clue. If not, it will be dropped and smashed to pieces. And that obviously means they must start over. 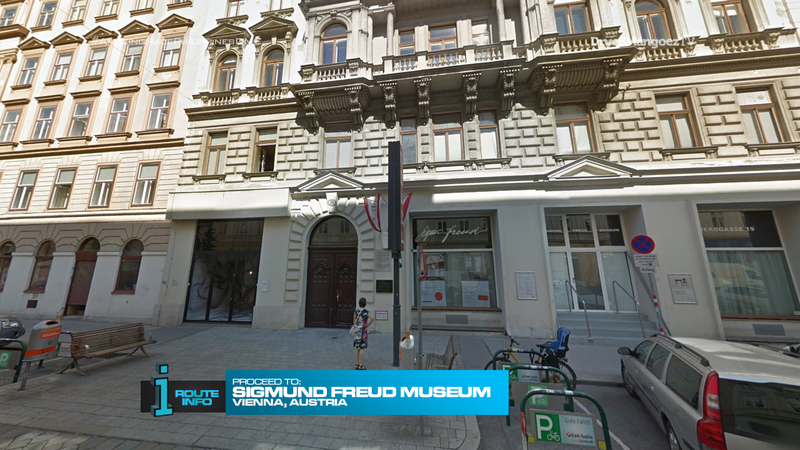 Next, teams must find the Sigmund Freud Museum. Here, teams must pick up a reclining couch typically used by Freud as a psychoanalyst and deliver it on foot to the University of Vienna where they can exchange it for their next clue. 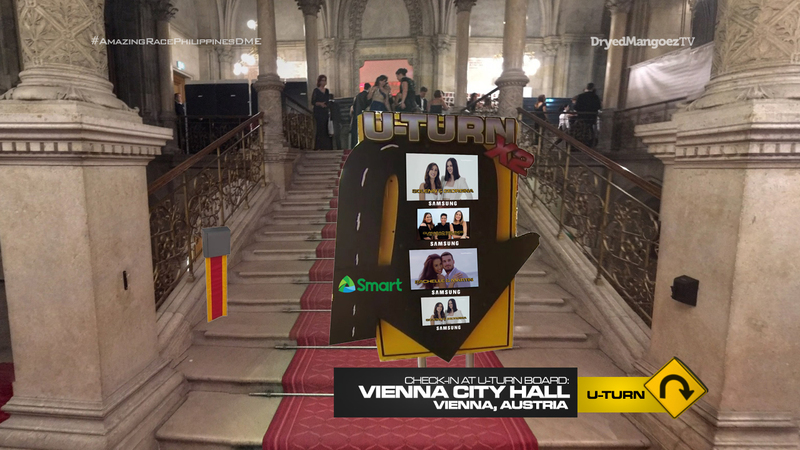 Teams must now make their way on foot to Rathaus. 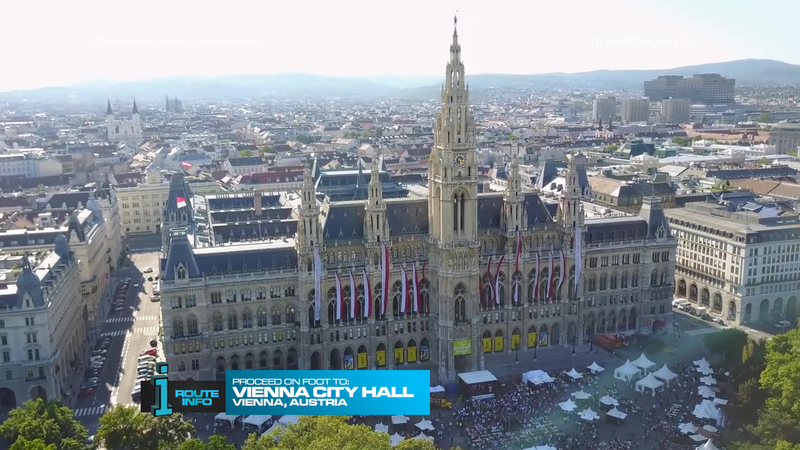 Teams will discover this is Vienna’s city hall. Here, teams will find the Double U-Turn Board! And their next clue, the Detour: Champagne Waltz or Choral Accompaniment. 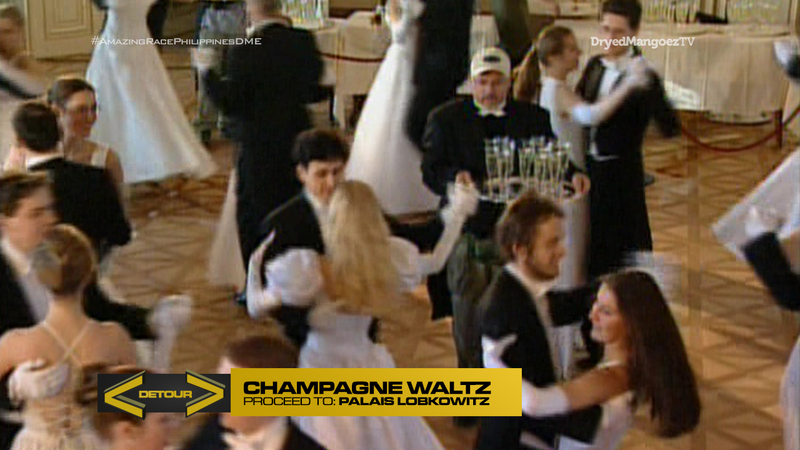 In Champagne Waltz, teams must head to Palais Lobkowitz where they will dress up and join a waltz. But! They will be holding a tray of filled champagne glasses as they dance! If they break any glasses or lose too much champagne from the glasses, they must start again. If they (and their fellow dancers) stay dry, they will receive the next clue. 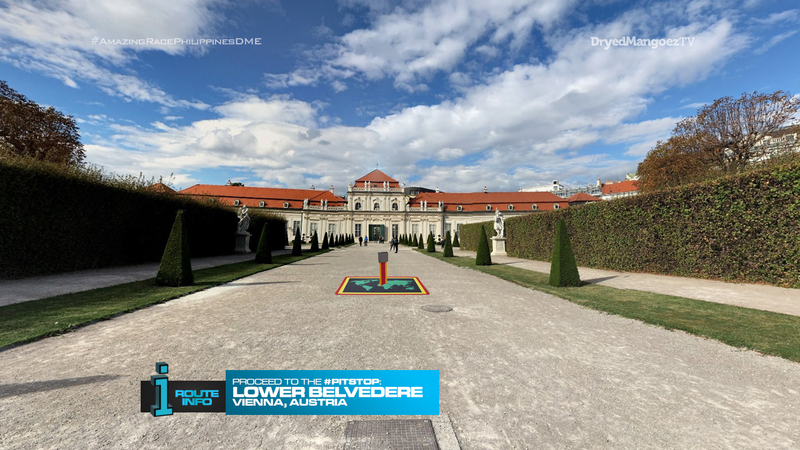 In Choral Accompaniment, teams must make their way to Palais Augarten where they must learn and memorize Franz Schubert’s “Die Forelle.” They will then join the Vienna Boys Choir and perform the song. If they get the thumbs up on pronunciation and musicality, they will receive the next clue. 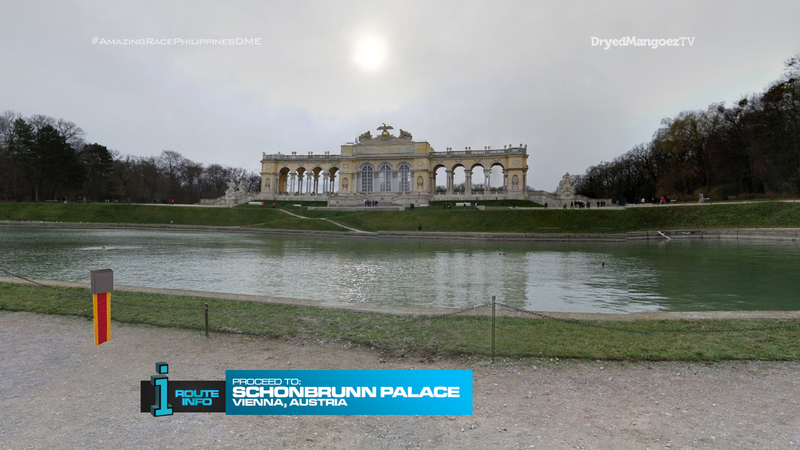 And that clue tells teams to make their way to the Schonbrunn Palace. They must search the sprawling grounds for the next clue which will be across from the Gloriette. 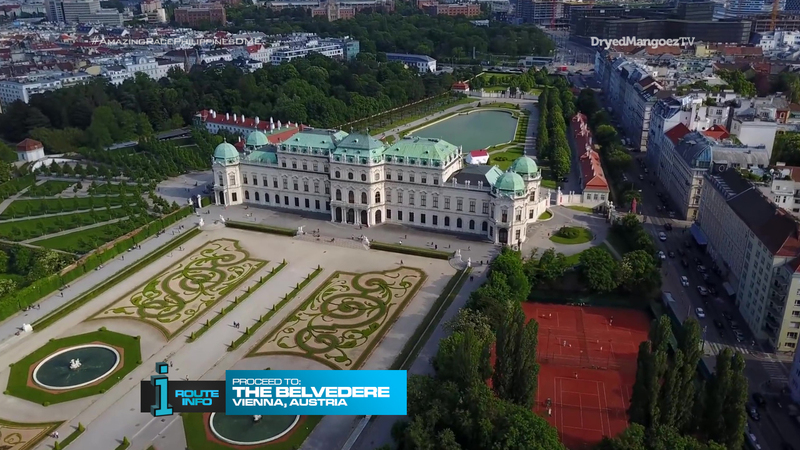 That clue directs teams to finally head to the Pit Stop at Belvedere Palace. They again must search the grounds for the Mat which will be in front of the Lower Belvedere building. BUT WAIT! Teams will only find an Abandoned Mat and a cluebox! This is a SuperLeg and the teams must continue Racing! The first team to arrive here will win P100,000 courtesy of Shell V-Power Nitro+. The team that arrives last at this SuperLeg midpoint will have to face a Rewind on the second half of the Leg. Teams will open the next clue telling them to head to Bratislava, Slovakia! I think this is a very nice Leg in Vienna! Maybe it does need one extra task for this point in the Race. But I do like it as it is even if it is a very recycled Leg. First up, we have teams eating some authentic Viennese sausage. Having them search for one of three is a good little challenge to start the Leg. 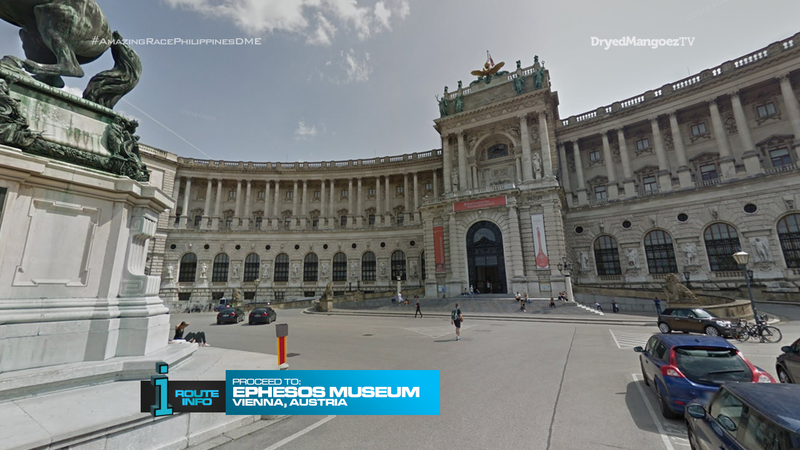 Next, we have the Road Block which was originally one side of the Detour on TAR23’s visit to Vienna. It should be a good Road Block here and be a little more challenging for one person to finish quickly. Then we have teams with the Freud couch which was originally also one side of the Detour, but on TAR18’s visit to Vienna. The other side of the Detour is the Road Block from TAR23. Both team members needing to be in tune and on point also makes this much more difficult than the original as well. 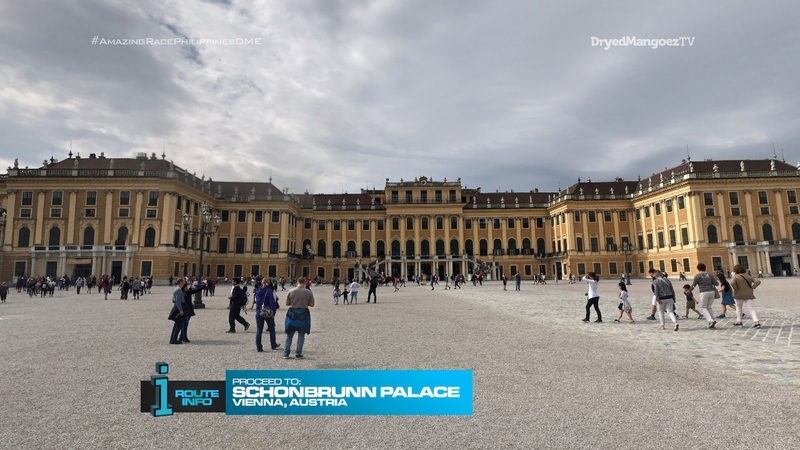 Decided to add in an extra Route Marker at Schonbrunn Palace and have teams wandering around the huge complex to find the clue, just to have an extra task. But finally, this is a SuperLeg! I originally planned the two Swedish Legs to be the SuperLeg, but thought it would be more interesting (and logistically friendly) to have the SuperLeg here between Austria and Slovakia. Having teams run around the Belvedere complex is also another extra task and okay to have on this midpoint. Overall, a great, recycled Leg! Or, first half of a Leg! Hehe.